Rotterdam/Werlte, November 2016 - Together with some 150 guests, the Krone Trailer BV team celebrated the opening of the new Krone Center in Rotterdam. In his welcome speech, Dr Bernard Krone highlighted the fact that Krone would continue to consistently pursue the strategy of being "close to the customer". Furthermore, he expressed the opinion that being a professional trailer manufacturer has also come to mean being a service provider for all vehicle aspects and therefore, complete service packages must also be offered. Likewise, host Andre Menzing emphasised that all areas of expertise are to be housed under one roof in the Krone Center. At the Rotterdam base, in addition to new and used vehicle sales, classic services will be available, together with Finance and Fleet support. At the moment, Krone Trailer BV is marketing 4000 new vehicles as well as around 250 used units via Krone Used. 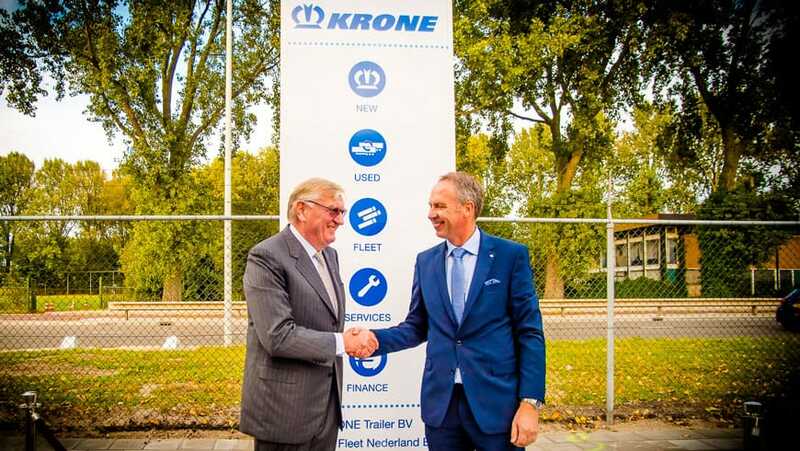 Just under 800 units are currently leased in the Netherlands via Krone Fleet. Nine employees are now based at the new KRONE Center in Rotterdam, including the Krone Fleet team.